The only reason we have green grass and lush landscaping is because we pipe the water in. And now (in spite of yesterday's unusual May rainstorm), California is facing one of the most severe droughts on record. 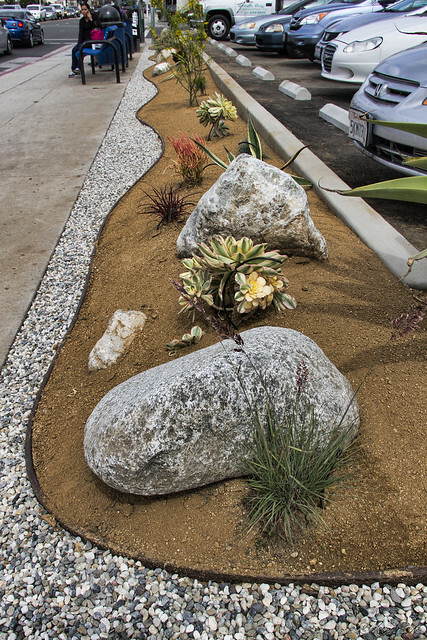 Drought-resistant landscaping has been around for a long time, but I've noticed a definite trend around Downey toward saving water. 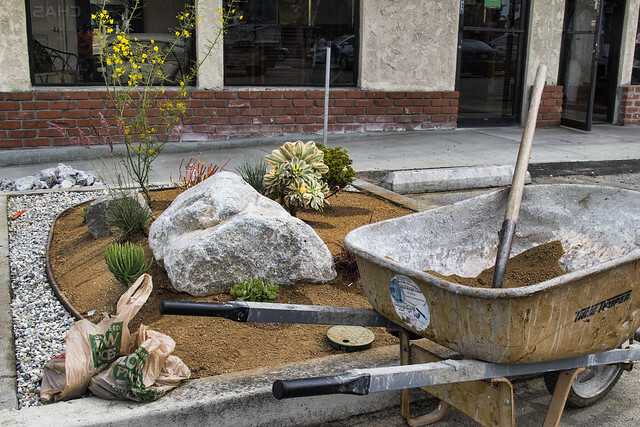 This strip mall recently replaced their grass with this water-saving alternative.